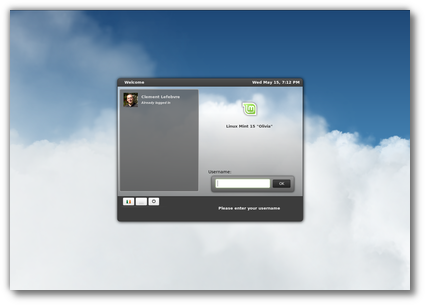 Linux Mint 15 – “Olivia” is released! Major changes/improvements in Linux Mint 15 ? Improved Control Center & more! 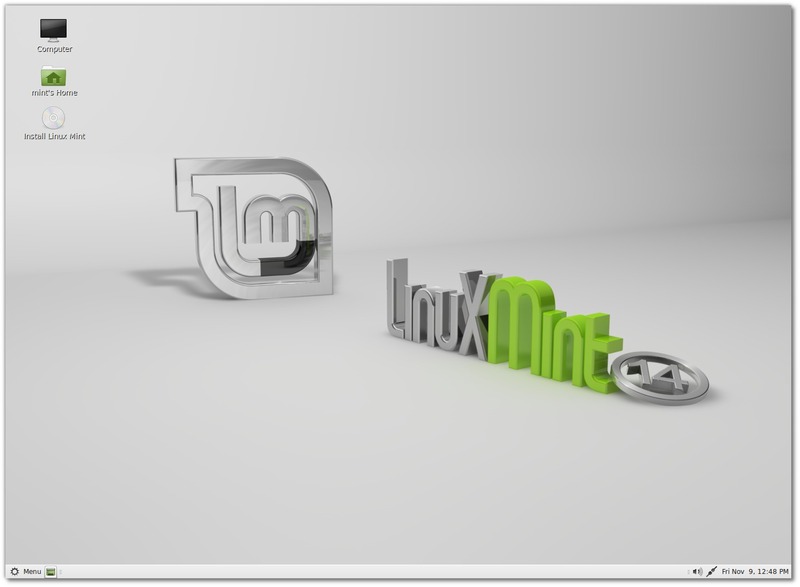 To know more about the new features – read this official page about Linux Mint 15. There are lot of dictionary application for Ubuntu / Linux Mint but most of them works only online. A lot of people prefer to have offline dictionary – because they can use it without any internet connectivity or may be because they have a slow Internet connection (which may results in slower look-up). 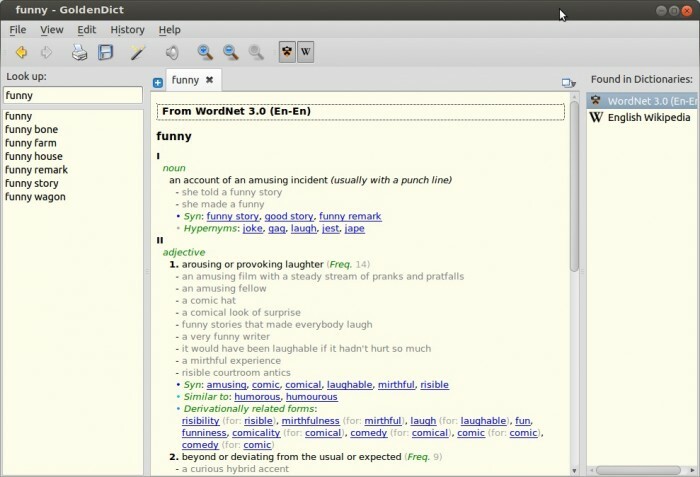 Goldendict : Advanced Dictionary software for Ubuntu! Although, Goldendict has lots of features and many of them depends on Internet connectivity but you can easily install wordnet dictionary database to make it work offline. Install Godendict on Ubuntu 12.04/12.10/ Linux Mint! Goldendict has lot of cool features, you can easily customize the sources – add more local dictionary database, add websites (Urban Dictionary, Google Oxford and more!) 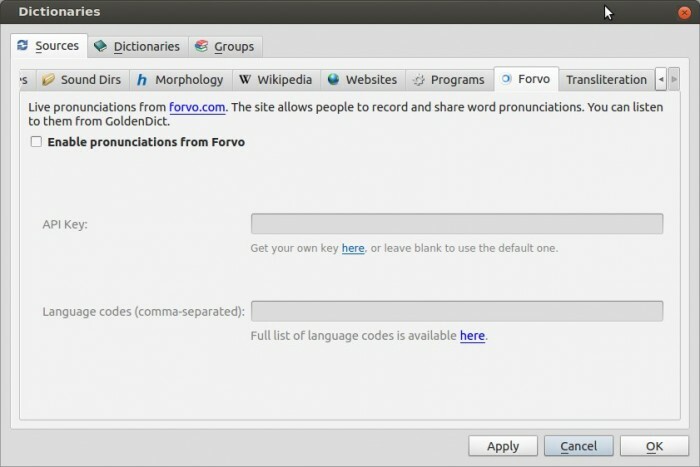 for look-up, pronunciation support, and more! Go to Edit -> Dictionaries -> Forvo and enable it. You may have to register and get an API key (free plan is there, up to 500 requests/day) on Forvo. Linux Mint 14 (code named as Nadia) is released (check out official release notes). 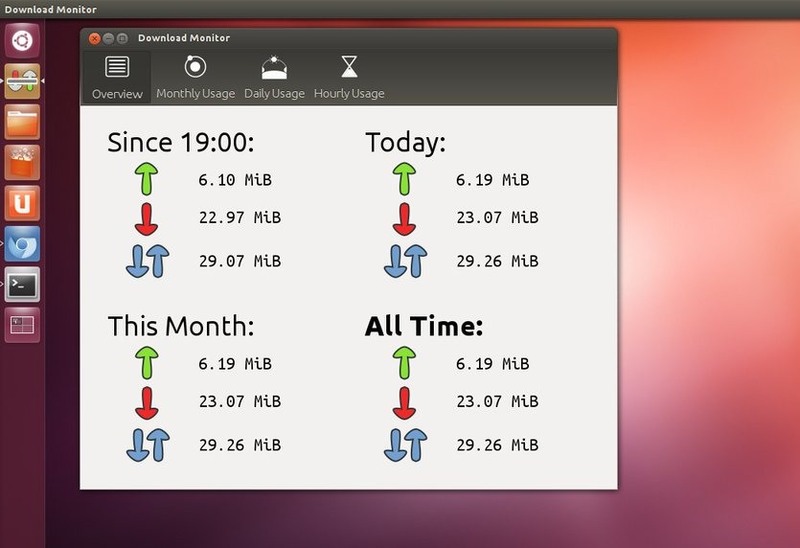 It’s based on Ubuntu 12.10, released last month, but unlike Ubuntu, it uses Mate as the default desktop environment (although other editions are also available e.g Cinnamon, KDE, XFCE etc). So if you’re a beginner – not comfortable with the Unity (the default desktop (on the top of Gnome 3)), then you must give it a try. Linux Mint is one of the most beginner friendly GNU/Linux distribution, and it has gained a lot of popularity in last few months. What’s new in Linux Mint 14 – “Nadia” ? Download Monitor is a bandwidth meter. 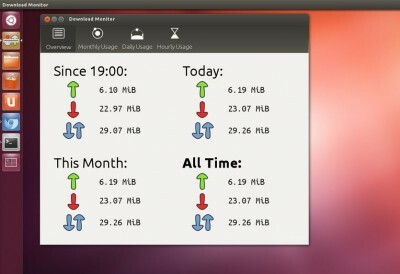 You can easily monitor your network usages/downloads on hourly/daily/monthly basis. If you often run out of bandwidth then you should try it, it may help you in staying within the usage caps. It’s a simple app with minimal features, it has no fancy graphs, but it works fine (although app icons look little odd) and very easy to use. 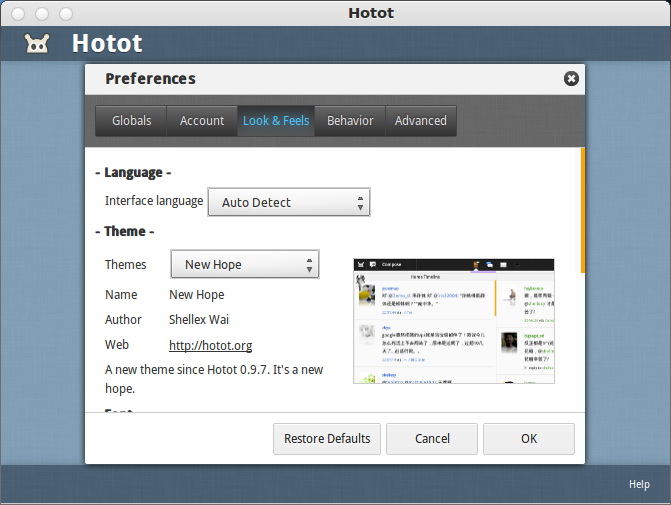 Hotot is a free and open source twitter client, available for all common platforms including GNU/Linux distributions such as Ubuntu, Linux Mint. It a cool looking nice micro-blogging app, it has lot of features and you can customize it, but it’s in early stage of development – so it may not be very stable. 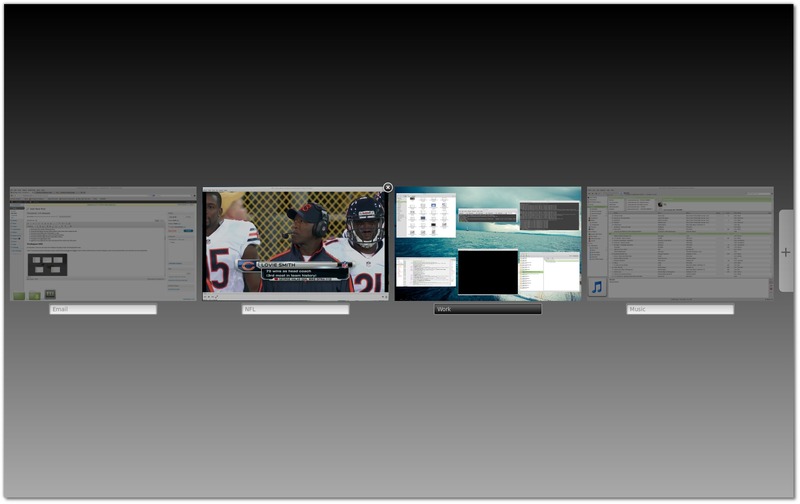 firewall for blocking unwanted contents and more!